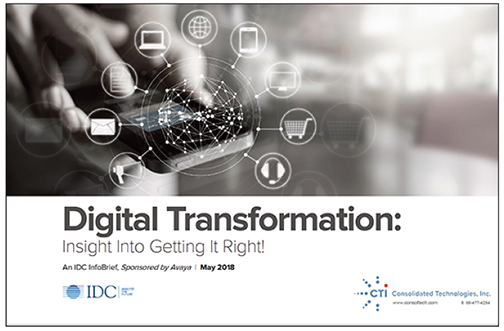 Download Avaya InfoBrief on Digital Transformation by IDC : Consolidated Technologies, Inc.
and agile. According to the latest IDC study, business communications needs to be at the heart of your digital transformation strategy to support agility and growth. Download this InfoBrief from Avaya and IDC Market Intelligence to learn why business communications is a transformative driver as the essential link connecting your employees and your customers.